There was a ferry crossing over the river Crouch at South Fambridge from ancient times. It was used by the monks coming to and from Canterbury but earlier than that there were two bridges, one to a small island in the middle of the river and the other from the island to the far bank. The island and bridges were eventually washed away and replaced by the ferry, a small rowing boat. In the 1930s there were elaborate plans to build a bridge but these came to nothing. However, not before the large and imposing Anchor hotel had been built in anticipation of the trade to be generated by the new bridge. 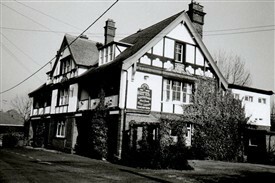 Unfortunately, the Anchor hotel was closed some years ago as it was too isolated and no longer viable. This page was added by Helen Barnard on 29/01/2012. Was there a hermitage or small chapel ever recorded for Canterbury pilgrims - perhaps where the Ferry House is now? This map only shows one island in the Crouch to the east of Ashingdon and west of Wallasea with a permanent connection to the mainland in the Canewdon area. The map appears to show a marsh area in the river valley at Fambridge. However the level of detail is poor and the scale inconsistent throughout the map with errors in the most basic shapes of the rivers and with the placing of the settlements. Going back a bit further it is recorded in 1556 that one William Harrys owned ‘Ferry lands, with the passage’ in Fambridge so it is safe to say that the bridge had gone by then and a ferry had been established. Benton also speculates that the island could have been washed away as a result of increased river flow caused by building up the river banks to drain the land. This is possible, but it is not thought that this was done on any scale on the river Crouch until the 1700’s. 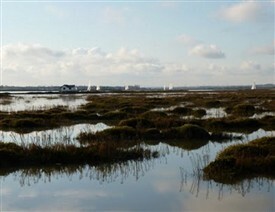 It is also noteworthy that the first rudimentary sea walls on Bridgemarsh Islands were built in 1736. But these were not required because of increased river flow but because the then owner, Benjamin Mildmay, had drainage channels dug to dry out the land to improve grazing and as the land dried the island shrank down below the level of normal tides making the wall an essential and unexpected addition to the work! 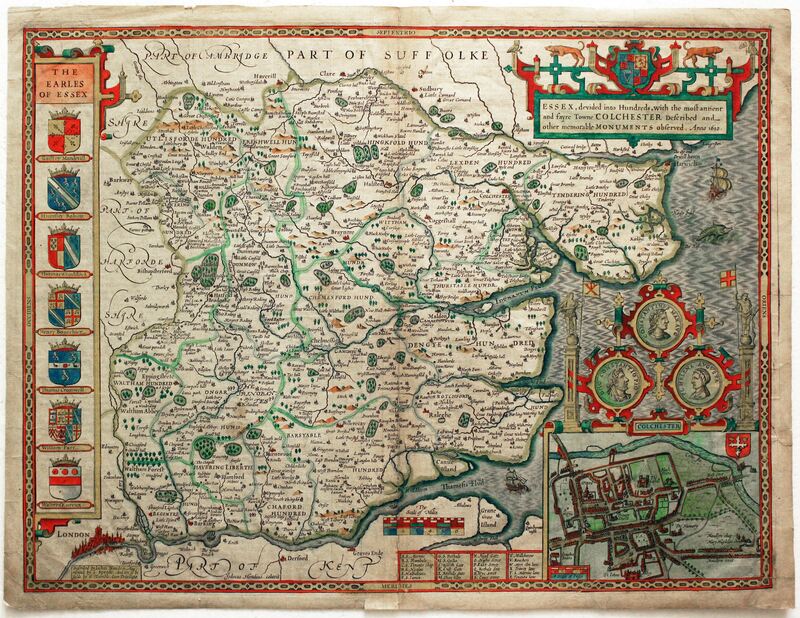 Also of note is that prior to 1274 Fambridge was known in historic records as one place (not north and south) but in the 1300’s and 1400’s the use of North and South Fambridge became common.